The “raison d’être” of food and wine pairing is to enhance the gastronomic experience of a meal, be it a lunch on the beach or an exclusive dinner in a three star restaurant. The most important factor when pairing wine and food is personal preference. Most people prefer a powerful red wine with steak and white wine with smoked salmon, but there is nothing wrong with drinking a powerful red Barolo with salmon if that is what you enjoy. Besides personal preference there are a number of guidelines to follow to find the best pairings and to avoid some bad matches. A few years ago, when asking a sommelier or another trade professional for recommendations in terms of food and wine these would mostly be based on classic combinations considering aspects such as weight of the food and wine, acidity, sweetness, flavour intensity and fat. Lately however, there is a slightly different and more modern view focusing on four key components, sweetness, umami (a savory taste and distinct from the other primary tastes), acid and salt to achieve the best pairings. As you might understand there is much to be said about this topic but I will do my best to give a short overview. Initially the more classic guidelines will be explained followed by the more modern viewpoint. Many wines, especially in the old world, have been made to suit local cuisine. If in doubt about what to serve, a local wine can be a good place to start for local cuisine. For example, much Italian food is based on tomato and garlic; both very high in acid and the majority of Italian wines are also high in acid and are therefore often a good match. Another example is goats cheese and Sauvignon Blanc, Sancerre and Pouilly Fumé (both made of Sauvignon Blanc) are perfect matches for goat cheese which is produced in this region. Other examples are boeuf bourguignon and red Burgundy, oysters and Muscadet and truffles and Barolo. One of the main considerations is weight; a light bodied wine is suitable for a light weight food. If for example, if one were to serve a full bodied creamy Chardonnay to accompany a light salad, the wine would be overpowering and the salad tasteless. The goal of food and wine pairing is to have the wine and food co-exist and allow each to express its character without being dominated by the other. A better suggestion for a light salad would be a fresher and crisper wine such as a Pinot Grigio or a Sauvignon Blanc. On the other hand a heavy weight food, such as a mushroom risotto would overpower a light bodied wine and then the oaky creamy Chardonnay would be a good choice. Flavour is another important aspect. A full flavoured wine will overpower a very mild dish and vice versa. The reason why a Barossa Shiraz (full in both flavour and body) is a great match for BBQ meat is that both wine and food are full flavoured and spicy. A lighter red wine like Beaujolais on the other hand would not be able to compete with the intense spiciness of the BBQ flavours. A classic rule that also would fit under this heading is white meat with white wine (or light red) and red meat with red wine. To pair acidic food with wine, the wine needs equal or higher acidity than found in the food to create balance. Gambas with a lime dressing for example would go well with crisp wines such as Chablis, Sauvignon Blancs, Chenin Blancs or Rieslings which are naturally high in acidity. A low acid wine would taste very neutral and flat due to the high acid of the lime dressing. How nice is it to eat a lemon tart for dessert together with the red wine left over from the main course? Both the dessert and the wine goes to waste in my opinion. Sweet foods need sweet wine, otherwise the wine will taste sour and the dessert will not show its full potential. The wine should be as sweet, if not sweeter than the dessert. Great combinations are for example, Chocolate desserts and red Port (or the French dessert wines from Banuls and Maury). Fruit desserts benefit from a fruiter white wine such a Muscats. Muscat de Beaume de Venise is a nice fresh suggestion. Although I mentioned that weighty food should have full bodied wines, fat foods can be different. Sometimes it is better to have a counter balancing high acid wine to create the best match. Smoked salmon for example, is heavy and fairly fat and yet a perfect combination is Champagne or Chablis. The naturally high acid in these wines will cut through the fat and make the meal seem lighter and more refreshing. Generally speaking is NOT recommended, and if you don´t know what you are doing or have not tried the combination before, I recommend choosing a white wine. Red wines contain tannins, and these tannins, in combination with certain fish (rich in umami) create a metallic and bitter taste which can be quite unpleasant. As always though, with wine there are of course exceptions; reds that do work well with meatier fish are low in tannins and fairly light on body such as Beaujolais or red Sancerre. In my opinion this is the most tricky food to match with wine but sensitivity for chilli heat varies greatly from one person to another so this guideline is very dependent on personal preference. For me, the best matches are with off-dry to medium sweet white wines from Alsace (Pinot Gris and Gewurztraminer). This makes a lovely match with the exotic spiciness and can even soften a hot dish. High acidity should be avoided as should tannins since this can make the heat even more intense and hard. One would think that the above would be enough when it comes to food and wine paring and it indeed goes a long way in finding a good match. However, a piece on this topic without the latest viewpoints would be incomplete so here follows an introduction. The key person and the driving force behind this later development is Tim Hannai, chef and Master of Wine. He has conducted extensive research on the topic the past 20 years and come to the conclusion that most of what is generally considered as a guideline such as red meat with red wine or seafood with white wine are only myths. According to Tim, any wine with any food is fine as long as the seasoning is adapted accordingly, so called flavour balancing. Many chefs around the world are now adopting this way of thinking and wine education programs have changed their syllabus to incorporate the new findings. Simply put, there are two components in food that makes the wine taste more bitter and less fruity and these are sweetness and umami and two other components in the food, salt and acid, that will render the wine more fruity, less acid and smoother. To experience the first effect you can pair a sweet dessert with a dry wine and see how the wine changes and loses its fruit and roundness, becoming hard and bitter. Or try some asparagus or smoked salmon (both high in umami) with a dry tannic red wine and you will have similar effect. In other words, umami and sugar in food diminishes the enjoyment of the wine. To experience an enhancing effect of a wine, put lemon or salt on any type of food and see how the wine becomes more fruity and round. It is quite surprising to see how smoked salmon and asparagus is a terrible combination with dry red wine but when lemon and salt is added the combination actually works fine. However, although I agree with the concept of flavor balancing I can´t help wondering if past traditions and deeply rooted guidelines haven´t already formed our taste. In tasting classes we have experimented with different dishes and wines and despite the fact that a Margaux (red wine from Bordeaux) tastes fine with perch in a white wine sauce as long as the acid and salt levels are correct it is never a combination I would choose in a restaurant. I am also under the impression that most people really prefer a crisp white wine when they eat fish and a fuller red wine with a steak (even if it is just a programmed concept by tradition). My guess is that the classic guidelines will stay for many years to come and the flavor balancing will serve as a very interesting complement and as a topic to play with in tasting classes and experimental restaurants with experienced chefs and sommeliers. As mentioned above is perhaps the most important aspect. Wine is made for our enjoyment and whoever is drinking the wine is of course the ultimate judge of if a match is good or not. When I started my wine drinking career in my late teens I thought sweet Asti Spumante was a great match with pasta and ketchup, which I must say I do not think any longer! 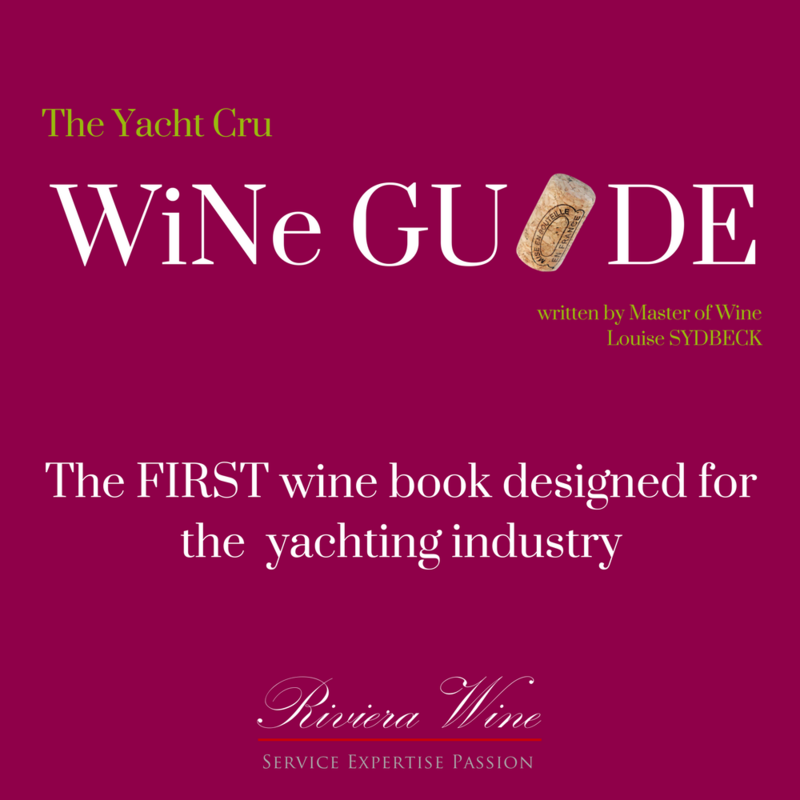 Another example came from a client of mine whom had served Petrus (a legendary super expensive Bordeaux wine) with Hamburgers to her charter guests and although a highly extravagant paring that is a match I wouldn´t say no to!